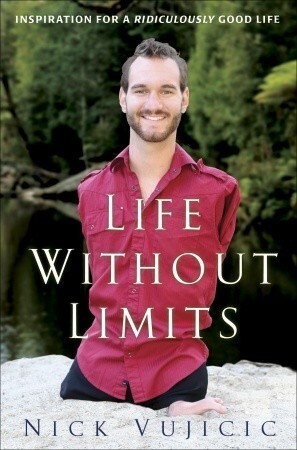 Life without limits by Nick Vujicic is an inspirational novel. It is based on Nick's life experiences. He wrote this book when he was twenty-seven years old. He is from Australia. He was born without any limbs. It's a story of a limbless man. Nick's parents are devout Christians, but after Nick was born with neither legs nor arms, they wondered what God had in mind in creating him. Nick was their first child. At first, they assumed that there was no hope and no future for Nick. Instead of celebrating his birth, Nick's parents and their whole church mourned. It took a long time to see the benefits of the circumstances Nick was born to. Nick's childhood was different. But his parents try their best to give him a normal life. They invent cool stuff to help Nick with his daily chores. His parents laid a strong foundation of belief in him. Nick believes that life has no limits. He wants us to feel the same way through this book. He has physical limitations, but still, he is doing skateboarding, surfing, playing music, hitting a golf ball, speaking to audiences and inspires them. We have the limb, but still, we live in fear and agony. Nick has two younger siblings. For his parents, he was not exactly the child of their dreams. But they have strong faith in God and believe that God must have a plan for their son. Many people pity him, but he doesn't care. He believes that you can't control what will happen to you. But you can control your attitude towards the problem. He is an inspiration. He travels worldwide, share other people grief, show them the right path and gets a lot of hugs. "If you can't get a Miracle, become one." According to the author, finding your purpose is the first important step in living a life without limits. Maintaining hope for the future during difficult times plays a key role. If one can live with faith; they will never believe in despair. Faith means Full Assurance In The Heart. Our society bombarded us with messages that we need to have a certain look, drive a certain car, and maintain a certain lifestyle in order to be loved, appreciated, or considered successful. We must not allow other people to determine our value. Nick faces many challenges, but he encourages others to recognize their problems, work harder, and keep searching for creative solutions no matter how many times we fail. This story changes one's perspective. Before I read this book, I always thought about how Nick manages to do things? How can he be so optimistic and happy? After reading the book, I got my answers. This book gives an insight into Nick's personal life. The way he deals with his emotions. When he was a teenager, he always thought that no one will ever marry him. He will never get a job. He even thought of suicide at once. He overcame all the difficult phases of his life. He completes his studies. He becomes a famous YouTuber and motivational speaker. He has a beautiful wife, Kanae, and son, Kiyoshi. We all need supportive relationships. Nick is always surrounded by true friends, mentors, and role models support and help him to achieve his dreams. People call him crazy, but he said to take risks and dare to be called crazy by those who doubt your genius. This book provides a personal action plan to help and determine your path. The author describes her relationship with his family beautifully. This book inspires me in so many ways. The author includes other people life-changing experiences as well. He works for the different organization and helps the people in need. Nick's faith in God and willing to live a good life changes everything. He realized his purpose. He turns his struggle into lessons that inspire others. The content is engaging and powerful. It's a fun and emotional read. I like how he handles the bullies in high school. He gives and receives a lot of love from everyone. I would strongly recommend this book. It encourages you to rise, explore, and developing your gifts. Nick tells the story of his physical disabilities and the emotional battle he endured while learning to deal with them as a child, teen, and young adult. "For the longest, loneliest time, I wondered if there was anyone on Earth like me and whether there was any purpose to my life other than pain and humiliation." Nick shares how his faith in God has been his major source of strength, and he explains that once he found a sense of purpose- inspiring others to better their lives and the world around them. He found the confidence to build a rewarding and productive life without limits. Let Nick inspire you to start living your own life without limits. Nicholas James Vujicic is a Serbian Australian evangelist and motivational speaker born with tetra-amelia syndrome, a rare disorder characterized by the absence of all four limbs. As a child, he struggled mentally and emotionally as well as physically, but eventually came to terms with his disability and, at the age of seventeen, started his own non-profit organization, Life Without Limbs. Vujicic presents motivational speeches worldwide, on life with a disability, hope and finding meaning in life. He also speaks about his belief that God can use any willing heart to do his work and that God is big enough to overcome any and all disabilities.